My second hive finally arrived! 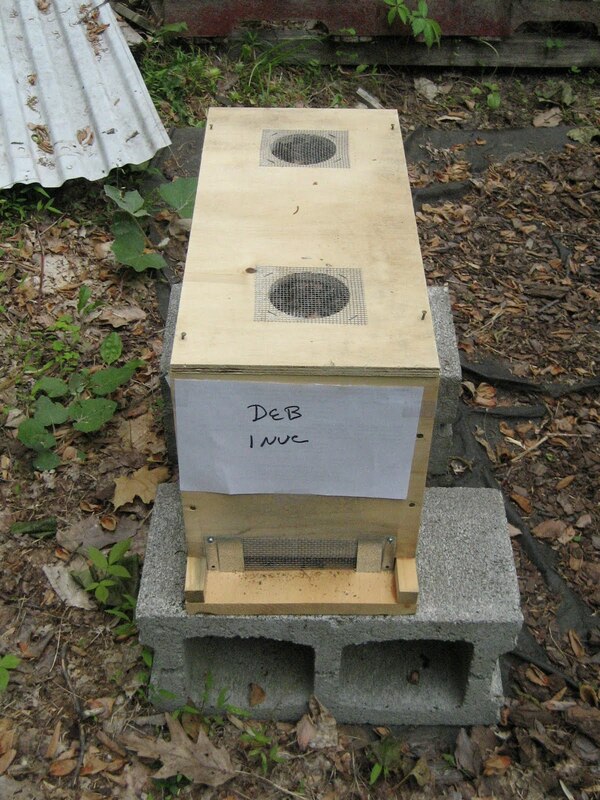 Due to the cold and seemingly never ending winter, bee losses were very high this year and the apiary in Pennsylvania where Chris gets his nucs was no exception. Nucs usually arrive mid May, but this one did not made its way to New Paltz until June 4th. 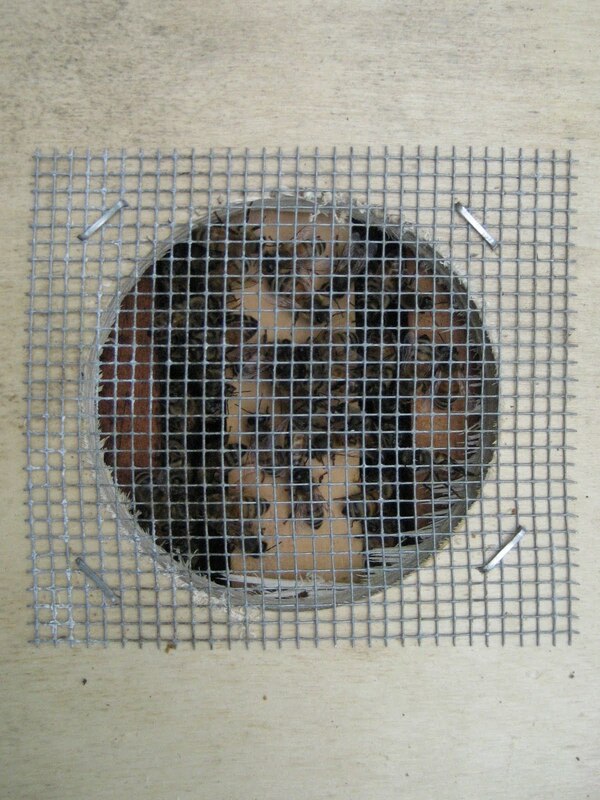 A nuc is a mini hive, consisting of five frames. This nuc was amazing; two frames of capped brood, pollen, larvae, and one full frame of capped honey, which gives the girls a terrific head start for wax building and feeding brood. Their temperament was calm and gentle. 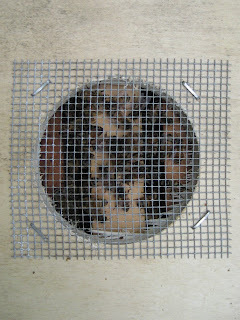 In a word, a box of dreamy bees. I studied the frames carefully as I moved each frame into their new home, sure that this was my chance to spot the queen, but once again, she alluded me. Sam got the honor of naming this hive and after much deliberation he chose The Flaming Maples. One of the first things a new hive goes in search of is water, and given the extreme heat of last week, I wanted to have something to offer them. This bird bath has been frequented pretty steadily all week and I love standing by and watching them. Do you like my new veil? (see Go Dog Go for point of reference). It's the little things in life, like finally finding a veil system that works just right. Mann Lake sells the black veil and it works perfectly with my new flat brimmed straw hat. I had to alter the veil by adding elastic loops to go under my arms. 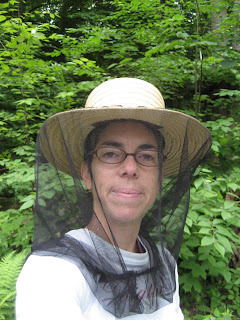 With this veil/hat combo., I can see much more clearly what is going on in the hive, and I can flip the veil up over the hat when it is not needed. It is also great in the garden when the gnats find me.